MDMA or ecstasy has historically been a party drug associated with dance club music and rave culture. It has been making headlines lately under the name “Molly”. Recently there have been numerous stories involving Molly overdose deaths, particularly on the music and electronic dance circuit. 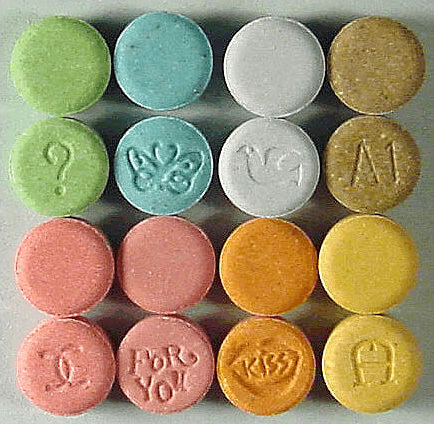 But both ecstasy and Molly have something in common—they are essentially the same thing: MDMA. Technically, MDMA is 3,4-methylenedioxy-N-methylamphetamine. It was first developed in 1912 by the drug company Merck and didn’t truly make it to the recreational drug world until the 1970s. It rose in popularity in the 1980s and eventually turned into ecstasy, a euphoric hallucinogen drug that became associated with rave culture, where it remains popular to this day. Molly (believed to be short for molecular) is simply a pure form of MDMA. In some cases, it is ecstasy without fillers, or it can include stimulants to bump up the euphoric effect. And this latest version is once again boosting MDMA’s popularity and availability. There are other MDMA and ecstasy variants known as synthetic cathinones, such as methylone or M1. M1 has stimulant properties, which produces effects similar to cocaine or meth. MDMA was legal and unregulated in the U.S. until 1985, when it was classified under emergency order as a Schedule I substance. There was some argument concerning whether that was an appropriate place for it, considering Schedule I drugs have “no medical use” and MDMA had been used in psychotherapy patients. Still, MDMA remains a Schedule I substance to this day. This means MDMA carries some of the strictest criminal penalties as it is classified with other highly addictive drugs like heroin and (laughably and controversially) marijuana. Since 2001, MDMA has carried some of the harshest criminal penalties. Because it falls under the federal sentencing guidelines, each case varies considerably when it comes to a potential penalty. In general, however, a conviction for MDMA distribution or even possession will result in the possibility of several years behind bars. Arizona: Possession of this “Dangerous Drug” carries up to 6 months in jail on a Class 1 misdemeanor conviction for a first-time offense. California: Virtually all drug possession offenses except marijuana are felonies in California. So you are at risk of jail time for an ecstasy charge. Probation and/or a brief jail sentence is common. Florida: Here, you could be charged with “possession of an unlawful chemical” if you are caught with MDMA. A conviction carries up to 15 years in prison on this second-degree felony. Massachusetts: Considers MDMA a Class B Controlled Substance which carries up to 1 years in prison for a first-time possession offense. New Jersey: You face six months in jail for a first ecstasy possession offense. If this isn’t a first drug possession charge, you could be facing a maximum or 18 months in jail. Texas: if you are caught in possession of less than one gram of MDMA, you could be going to a state jail for up to two years. New York: NYC is a major upscale party spot, although New York State has never backed down from it’s tough Rockefeller era drug policies. A tiny amount (under 25mg is a misdemeanor possession charge, but anything more than that is a felony drug offense. Nevada: Las Vegas has a massive nightclub scene, which makes it a popular spot for ecstasy. It also has some of the toughest laws, with any possession being a felony charge. What is the difference between Ecstasy, Molly, and MDMA? Since these names are not scientific or formal, you can expect a lot of confusion and misuse. MDMA is an abbreviation for the formal psychoactive chemical name for the substance known as methylenedioxymethamphetamine. Ecstasy is MDMA in a colorful pill form. It is sometimes cut with ketamine. Molly is s powder form of MDMA often in a capsule which is sometimes cut with stimulants, such as mephedrone, a synthetic stimulant like caffeine powder. The Real History of Drugs Episode 2: MDMAHere’s the interesting history of MDMA (Molly) and why it’s illegal… (ATTN: is excited to launch Episode 2 of our new series about the history of illegal drugs). MDMA is considered a highly dangerous drug, and because it’s experiencing a resurgence of popularity in the form of Molly, law enforcement and courts alike will take a hard line on anyone found in possession of it. Fortunately, you have rights and the chance to prove yourself in court. If you are accused of possession of MDMA, ecstasy, or molly, contact us for a criminal defense consultation with a lawyer near you.